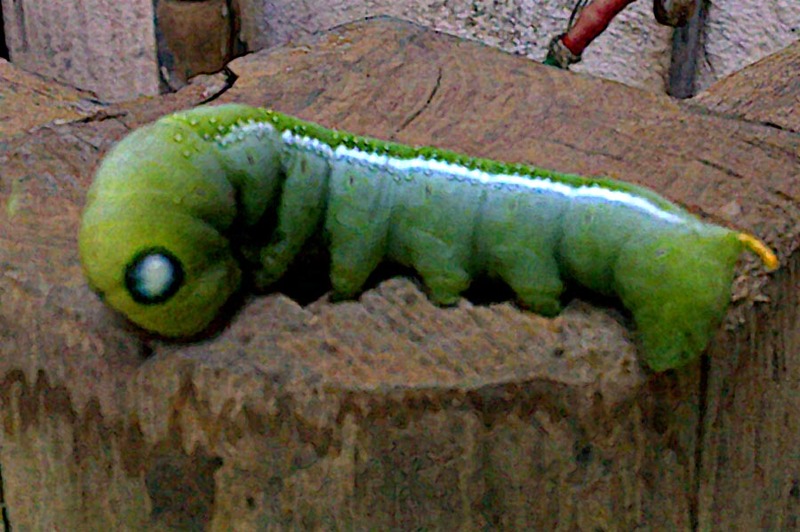 These are photographs of a green caterpillar found in Pune. 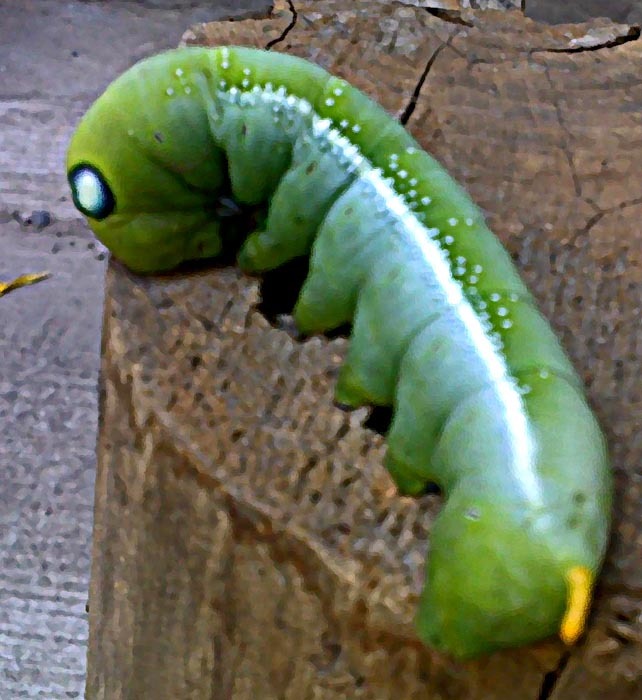 I had never seen such a large fat caterpillar before and that too with a cute little yellow tail! Nor one with such huge alien-like eyes. It explained to me the genesis of the alien features found in so many SF movies! Here it is with its head curved like an elephant's trunk. Made me wonder if it was an elephant hawk moth caterpillar but am not sure because there were no similar pictures on the net. This one was gooey and slimy and had a small yellow tail and a big head an stumps for legs. Another view of the caterpillar, it's profile. The huge eyes on a fat head and long shiny body. This is another angle and I have tweaked the photo a bit and this picture explains the various fictional aliens that we see in movies! At least their heads. Looks almost unreal. 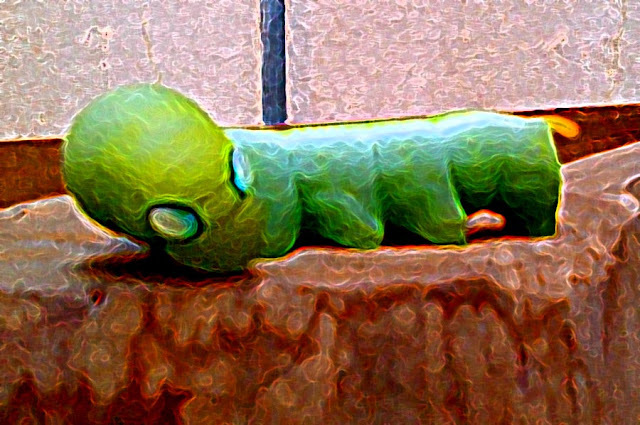 I have this caterpillar in my house right now. It looks like moth caterpillar. It is now change color to vary dark green and white spots are now yellowish. It curled in a tissue, seems like it has done feeding on leaves. From research on the internet, the caterpillar will be moth. Yes, most probly a hawkmoth.